Lock in a great price for Waters Edge The Strand – rated 9 by recent guests! LOVED THE LOCATION AND PARKING WAS ALSO EXTREMELY EASY. great location, Sue was the best, thank you for making our stay so great, appreciated all that you did to accommodate us. 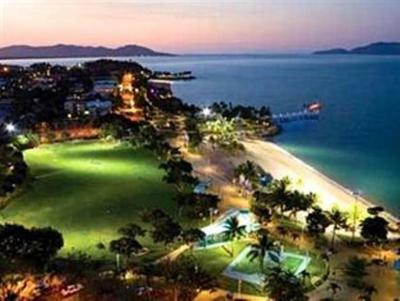 Located on The Strand in Townsville. Overlooks the water. Beautiful. Great location. Plenty of places to eat near by. Good pool area. We enjoyed the room and sat on the balcony in the sun for a couple of hours which was nice and relaxing. Would definitely return. 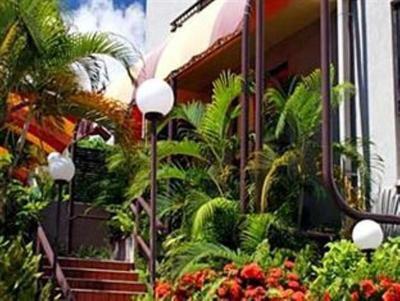 Excellent location right by the sea and right next to restaurants and bars. Reasonably sized swimming pool. 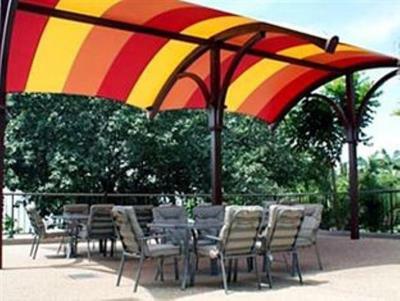 This a budget accommodation and was excellent value for money. 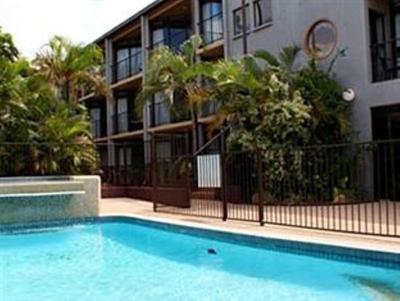 It is in a good location, near plenty of cafes and the supermarket. It was great being right on the waterfront and there was a covered carpark. It was very clean. Waters Edge The Strand This rating is a reflection of how the property compares to the industry standard when it comes to price, facilities and services available. It's based on a self-evaluation by the property. Use this rating to help choose your stay! 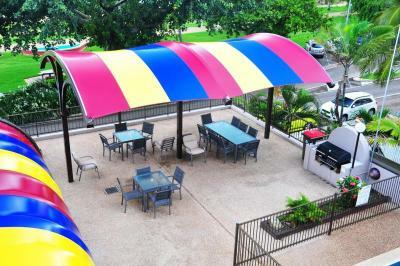 One of our best sellers in Townsville! 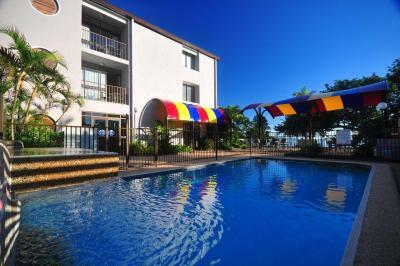 Located directly opposite the beach and featuring views to Magnetic Island and Cleveland Bay, Waters Edge Resort has an outdoor swimming pool, outdoor spa pool and free secure covered car parking. Free WiFi is provided. 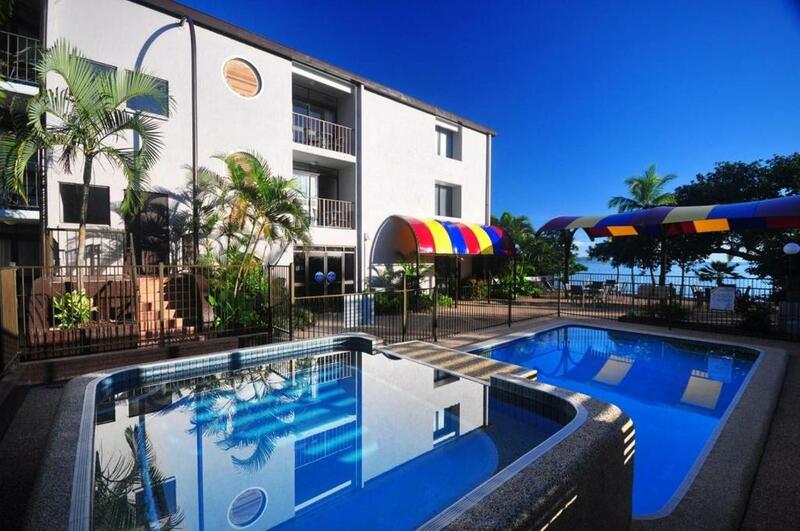 Each of these renovated studio apartments at Waters Edge Resort Townsville includes air conditioning, a TV with cable channels, and a private balcony. All have a kitchenette with refrigerator, stove, microwave, cutlery and crockery. 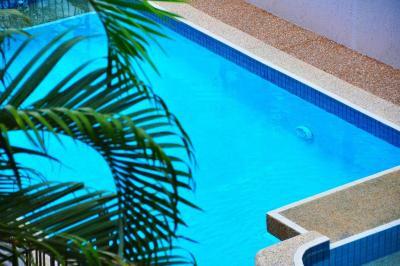 Guests can relax on the sun terrace by the tropical palm-fringed pool or enjoy an outdoor BBQ. Dry cleaning and laundry services are available. 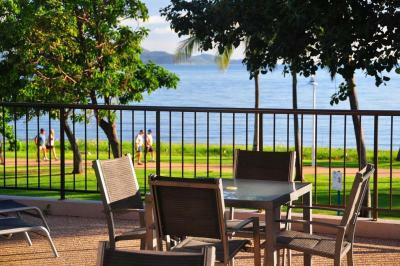 Located right on The Strand, Waters Edge is a 5-minute walk from Townsville city center and 10-minute walk from The Strand Water Park. Reef HQ indoor aquarium is 20 minutes’ walk away. 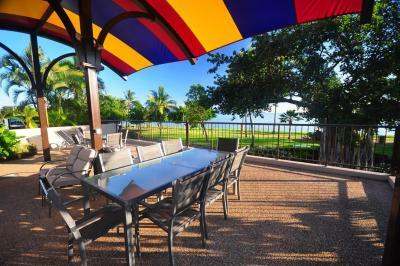 This property also has one of the top-rated locations in Townsville! Guests are happier about it compared to other properties in the area. 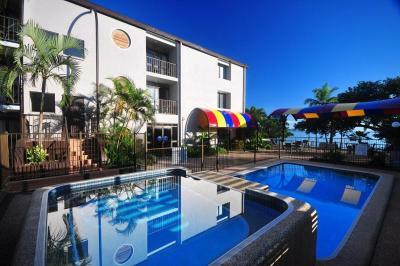 This property is also rated for the best value in Townsville! Guests are getting more for their money when compared to other properties in this city. 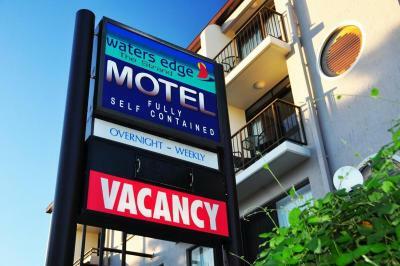 When would you like to stay at Waters Edge The Strand? The kitchenette includes a refrigerator, stove, microwave, cutlery and dishes. This room features views of the courtyard and a kitchenette with a refrigerator, stove, microwave, cutlery and dishes. 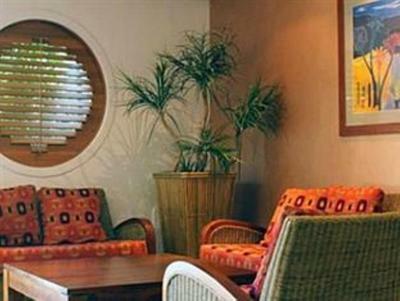 This room features Coral Sea views and a kitchenette with refrigerator, stove, microwave, cutlery and dishes. This air-conditioned suite features a 2-person sofa, a TV and a DVD player. Please note that the price is based on 2 guests using the queen bed only. There is an additional AUD 20 charge per person per night if the sofa-bed is used. The price is based on 2 guests. Maximum occupancy is 2 adults and 2 children (see Hotel Policies). House Rules Waters Edge The Strand takes special requests – add in the next step! All children under 6 years are charged AUD 25 per night for extra beds. Waters Edge The Strand accepts these cards and reserves the right to temporarily hold an amount prior to arrival. If you arrive outside reception opening hours, please call the night manager using the phone located at the front door. It was excellent, all we could want and more. Could not ask for more or better. 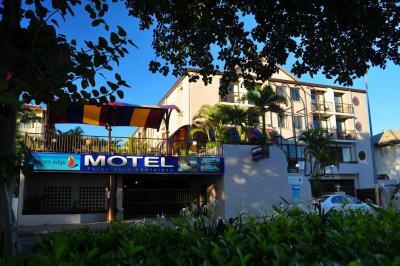 Clean, Comfortable, Large spacious room with cooking facilities. Great view of Magnetic Island. CORRIDORS FELT VERY DINGY AS THEY DESPERATELY NEEDED A PAINT AND CORRIDOR CARPET WAS VERY STAINED. Very nice friendly staff as well as the cleaners, all greeted us when we saw them all . Parking was great , locked up if a night time too so it was peace of mind . Lady’s gave us our last night upgraded room as we liked it so much we ended up staying an extra night. Bath tubs were like brand new not like most motels where they look worn and uninviting. A little street noise, as we had a room overlooking the strand and street. As a light sleeper I found this a little annoying but didn’t detract from the overall enjoyment of the place. Perfect position on the strand close to restaurants and a supermarket. Staff are friendly dly and make you feel welcome. The comfort level was excellent! 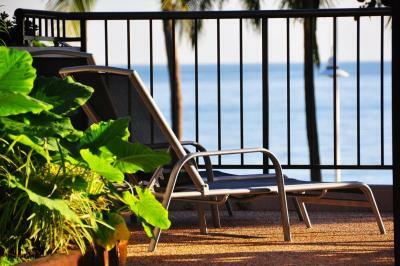 The location was beautiful with a magnificent view towards Magnetic Island. It was wonderful to have a full kitchen and a laundry. Our host was exceptionally thoughtful and friendly. Just managed to get under the height restriction of the undercover car park but we have a hilux with racks. Sitting on balcony on first floor, got the smokers smell from below. Maybe no smoking on balcony could be included. Went out for breakfast, balcony view of pool and trees on the strand. Kitchenette set up good. Staff lovely. Secure parking. 1 minute walk to restaurants. Pool seating area allows for people watching on the strand from above. Daily room clean. The staff were very nice.